Please note, this guide is a work in progress and will be improved upon overtime. Guildwars 1 has always had a steep learning curve. Whether you’re a new player or a returning player, there is always something to learn and different areas of game to improve on and master. 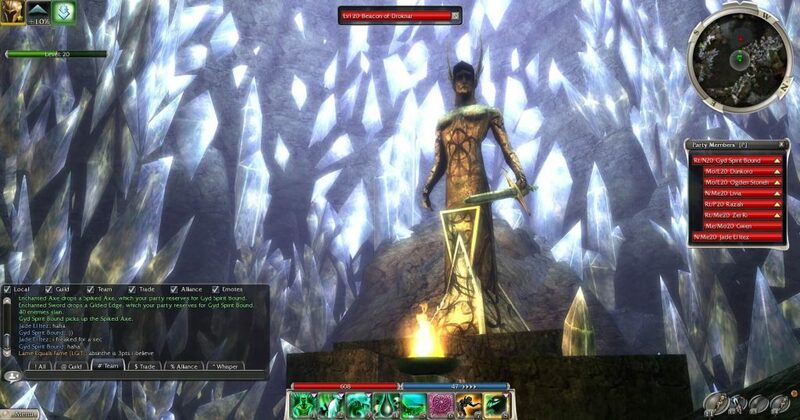 This Guildwars 1 Guide aims to help this process. The simplicity of the games design and mechanics can be deceiving and what creates the appearance of ease eg only having eight skills, is precisely the thing that add to its complexity. Gaining a level 20 character is quite easy and straightforward regardless of the chosen campaign. However, acquiring the desired skills, builds, areas, items and heroes. That is often the real challenge of the game. You will often find that to obtain what you desire, you need to plan ahead. Have multiple characters and access to all the games content to have an optimum setup and the luxury of choice for build changes. Choosing a campaigns can be difficult at times. Prophecies being the oldest and largest campaign offers the players the least support and the hardest to level in. However, some would highly recommend it as a good starting point and the best campaign to learn in and develop your skills. Furthermore, it allows players to gain a great deal of the core skills in the process. And has the magical pre-searing. Prophecies has skill quests throughout the entire campaign and is highly recommend for first timers. Factions, is the quickest to level in and often a favourite for alts. Players are given access to Kaining City very early on and this means max level armor, skills trainers and the starter quests to other campaigns such as Nightfall and EoTN for heroes. Not to mention the only campaign to offer Kurzick vs Luxon related PvP and faction farming content. Nightfall being another popular choice as it offers quick access to heroes and one of the major trading posts Kamadan City. A great place for your mule characters. EoTN though not a standalone campaign, but rather an expansion. Offers players many quality of life features and often recommended for Prophecies or Factions characters that do not get the advantages of Nightfalls heroes. Not to mention easy access to some of the best elite skills and other cool content such as dungeons. It is often good to plan ahead and know what elite skill your build requires as this will be a limiting factor for some, as certain elite skills are campaign specific. – Always remember to complete the 30 point attribute quests that are campaign specific. Each campaign has two of these quests. Another major reason Factions and Nightfall are prefered starting campaigns is the relatively early access to these quests in comparison to Prophecies. – If your are a new player. It is recommended that you complete all the given quests in the the starting zones. This will gives you a good idea as to the range of quest types given in the game and also help you increase your stash and keep you ahead of your enemies in terms of levels. Just take your time and enjoy the ride, you’ll be with us for a lifetime. Choosing a class is often a pain point for new players. The simplest advice that can be given is that you’ll most likely have more than a few characters. And it’s often necessary in order to acquire the desired skills for the best hero builds (assuming you don’t purchase the skill packs). Furthermore, all classes are viable so it’s all a matter of taste and what you are drawn to. What you should really be considering is who will be your main character where your titles and achievements will me made on, and that can only really be done when you’ve tried a few different classes..
Another thing to mention is that a lot of the PvE builds displayed on the internet are end-game builds and are not available to new/starting characters & players. Therefore, the player will have to learn to use what they have and make necessary adjustments based on their circumstances as they progress. The best starter classes are often the Rangers, Warriors, Elementalists and Necromancer. Assassins can also be a popular choice for Factions starters. Mesmers, Dervishes, Paragons and Ritualists are somewhat niche and need some experience and understanding to be fully appreciated and utilised, but don’t let that stop you. Monks are also easy, but can be a little difficult without someone to play with or heroes to accompany you. Though some will always disagree. Just pick what appeals to you the most initially and go from there. There is always an opportunity to change. – Pick your secondaries in a way that helps you acquire certain skills if needed. Example: some classes/builds are pure, meaning they mainly use their primary class skills and that allows you to pick your secondary in a way to benefit your entire account. By using them to capture/purchase certain skills that you otherwise wouldn’t be available to you. – At a certain point you can change your secondary class for a little bit of money. This options is great for mains and those going for the skill hunter titles. So you no longer need to make multiples of the same class, simply to try another build. Again acquiring the important skills for your character and heroes will be one of the most important task/objectives. For example, the skill ward against elements can only be obtained in Prophecies. But plays a major role for vanquishing, certain dungeons/missions and surviving hardmode. Players that have money to spend can acquire the skill packs @ around $10 USD each to make this process easier. For example I had to start all over on a new account upon returning to Guildwars. And one of my main purchases after the Trilogy, was the core skill pack that made my life that much easier and gave my heroes some basic skills to work with. And alternative way of acquiring skills; is by using class specific normal or elite tomes. If you have a certain skill unlocked on another character you can gain it using a tome on your current character. This is a really good way to obtain elite skills which would have taken you much longer to obtain. Early stage hero builds are something that you will not currently find. This is what I am using and working with on a new account. Will be a good starting point for most new players. Necromancers, Ritualists and Monks are always welcomed members to a group due to their versatility and high utility. Keep in mind that you don’t have to follow these perfectly, they are only guidelines. There is a high likelihood that what you need is slightly different based on your own characters role and build. This is simply to fill the gap of early game builds that is currently lacking. For those that have the advantage of choice; these are what to look at. All working hero builds, 3 Hero Spiritway, 3 Hero Discordway & 2 Ritualist Hero Midline. Which should really be called the complexities of combat. The thing is, based on the games setup you almost have an infinite combination of builds. But assuming most are taking on traditional roles, or you’re playing with henchmen and standard hero line-ups. The following things will help you approach combat better. In most cases, especially early on you are looking at a build composition that looks something like this (based on a 8 party group size). 1-2 Frontliners (at least one is always necessary imo), 5-6 Mid-liners and 2-3 Backliners. This is often very subjective and depends greatly one what your class is and many other factors, such as what is available to you, the situation you’re facing & areas/missions being completed. But it is safe to say that this will get you through most normal difficulty PvE areas. Assuming your builds are half decent. I like to have a Warrior + Necro Minion Master/Support for Frontline most of the time. The thing with relying purely on a Necromancer as Frontline is that they will eventually die, and this will unleash their living minions on everyone, including your party. So they are great for additional Frontline support. And Assassins and Dervishes being non-core classes means that their best skills aren’t always available to me and they just aren’t as great as tanks when it comes to heroes & henchmen. But that could all change when they’re a real player. Having two Backliners has always been a safe bet, this combination could be two Monks, one running Healing the other Protection skills or a Monk & Restoration Ritualist combo. Either one works fine, though I prefer the Protection Monk and Restoration/Commune Ritualist combo. Especially since you won’t always have access to two Monk heroes. It is always recommended that you keep them on ‘avoid combat’ to minimise the risk of them dying and that your resurrection skills are distributed between the player and Midliners. allowing Backliners to focus purely on their primary task. My Midliners look something like this. Ranger with conditional damage (poison) and skill interrupts + hex removal. Necromancer with Minion Master skills and utility skills such as condition removal. A Mesmer with spike and interrupt focused skills. And a Earth Elementalist focused on damage and ward placement. All four Midliners carry the resurrection skills. You might wonder why so many condition & hex removal and that’s quite simple. If they can manage to assist the Backliners with conditional/hex removals which are always one of the biggest factors to your group falling apart then that creates more space for Backliners to keep everyone alive. By not breaking focus to remove a condition or hex. You’ll often find your AI derp too so you won’t always get what you expect from them. My Frontliner Warrior runs a standard sword build focusing on deep wounds, interrupts and tanking. 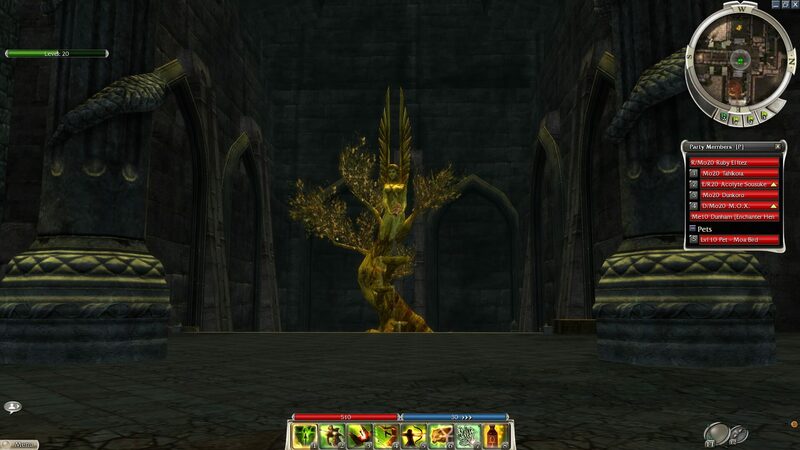 My own character in this instance, a Necromancer is running one to two -negative regen skills such as Faintheartedness, in addition to conditional, interrupts and curses skills such as Spiteful Spirit & Barbs. This is the line-up I am using to do Hardmode vanquishing using the very basics as I don’t have the luxury of having all heroes or skills. Though what I do have is a very agile group that shuts down casters very quickly (using interrupts) which are the source of most damage and resistance. And use the enemies Frontline as their own weakness (with Spiteful Spirit). While increasing defenses through the use of Ward Against Melee & Ward Against Elements. Is it effective? yes. Is it perfect, no. In fact it is far from it.. But that’s what makes this game so damn fun. Experiment, learn and experiment some more. While you work your way to the best builds and lineups. – Hold Ctrl while clicking on a target or casting a spell to make your entire group attack that target. This doesn’t work as well with other players involved, or Heroes of other players. Best used when soloing. Though it will half the time of your fights once mastered. And something many new players won’t know. – Always attempt to fight your foes at an advantage, especially the difficult/hardmode ones. Use the terrain to single them out or stop their auto-attacks from hitting your team. Watch their patrol paths so you don’t aggro too many. Have a ranged weapon on your character so that you always have the option to pull etc. Find more detailed explanations here under the category of ‘tactics’. Making money is generally easy. It’s simply a matter of picking up all items dropped. Identifying and salvaging what is needed and selling them accordingly. Around higher levels you’ll easily be making 1-2k platinum doing simple missions and main quests. Money shouldn’t be an issue, if you learn how to manage it well. Much of the expensive endgame items in the games and the place where most people’s platinums go are expensive cosmetic armors and weapon skins. Luxuries you could do without, while still having the opportunity to have max stats of the end game items. Furthermore, many items in game have value. You can farm them, get them from drops, opening chests, dungeons and finishing campaigns. These will easily add to your stash, but require the necessary sacrifice of giving them up, storing, salvaging etc. Overtime it’s good to try and workout the things that have value and go from there, this will take time. Another method of earning good money (or at least was) is services such as running & ferrying. Earning the players a nice sum of platinum assuming you have a decent sized group using your services. Though these days players normally rely on Guild members for such help and there is generally less opportunity and demand than there was previously. – Always have a salvage kit and identification kit handy. It’s worth it. – When you can afford to, start buying lockpicks and high-end keys and use them on the high-end chests, especially during Hardmode content. Though it may seem expensive initially, you’ll eventually get a drop that is worth it and you’ll at least break-even while earning points on two titles simultaneously. – Your shared bank (Vault box) has a cap of 1000 plantiums. So in Guildwars 1, players use stackable materials and objects of value such as Ectoplasms and Zaishen Keys to store value. Guildwars 1 is a game with a live economy. Knowing what is selling or what has high demand is always a great way to increase your earnings without too much time spent farming. Often times selling common materials such as steel ingots, leather and cloth in the time when demand is high will get you a nice sum of platinum. And you don’t need to worry much about acquiring them again, as they are common for a reason. Weapon mods are another easy way to make some extra cash from your imperfect and otherwise vendored items. Perfect weapon mods and inscriptions such as +5 energy handles or +30hp shield modes are always valuable to someone and worth extracting from your drops. Even if you end up losing them. Shields with low requirements such as 6-7 are also quite valuable, depending on their skins. Only the most refined builds and thought out lineups end up surviving the most difficult content of the game. So take your time and understand and master your fundamentals before beginning to take on these challenges. Before entering the area/missions read up on the foes and know what skills they carry. All the tactical things that you need to keep in mind of become even more important and often the major factor in the difference between surviving and death. Make the necessary adjustments to your builds and take a defensive approach. Assume anything can wipe out your team and keep your eye out for enemies that only reveal themselves once it is too late. Knowing the kill orders is supreme and having the ability to micro manage your important heroes while running your own build becomes a necessity. Also the order in which you place your heroes also becomes important, since you can only flag three individually. Vanishing is either a solo act or only done with those you’ve practice with. Two minds taking on difficult enemies that requires a high degree of timing and management isn’t always the advantage that you may think it to be. – Forget about obtaining the survival tiles when going through hardmode content. – Understand breakpoints to maximise on builds. Take advantage of the new graphics improvement, instructions here. Make sure to obtain and use the storybooks while undertaking EOTN and Nightfalls as this will save you a great deal of time when aiming to gain reputations. They are very useful. M.O.X is a terrible hero. However, even a terrible hero is useful in Prophecies, when it out levels your enemies. Use blessings and boons whenever you get the chance, especially when farming for reputation points and doing hardmode content. Make the Guildwars Wiki your best friend. It contains years of player knowledge, to help you along the way. 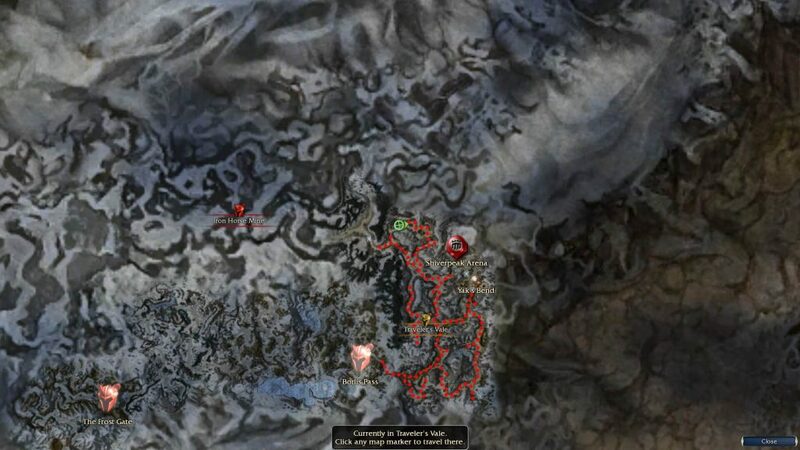 Use MappingOut when doing elite skill hunts and checkout this page for relevant Guildwars 1 mods. 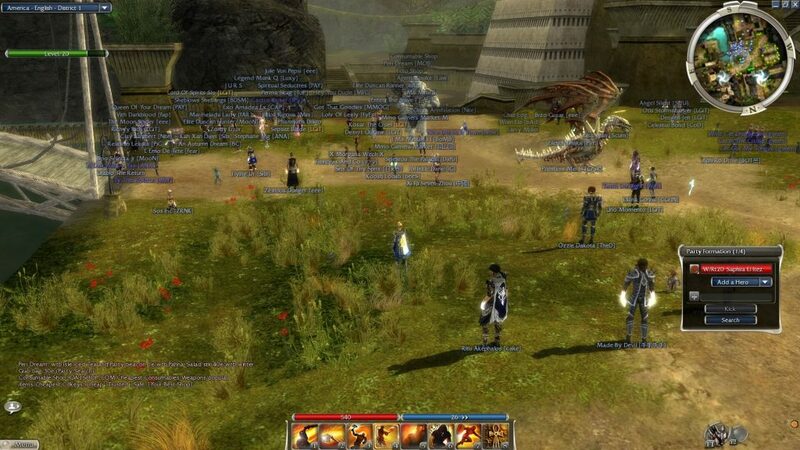 While many abandoned the game and went of to player Guildwars2 and other games. There were individuals who stayed and played on and while doing so pushed the boundaries of what was once thought to have been the limits. They’re now the elders of the game and know a great deal and are often excellent to connect with and learn from. Though you have to have some skills to play with them as you could imagine, there is a massive gap in skills and know how if you are new. None the less, make friends with them and gradually through the friendship you begin to assist one another along to road. In hindsight, we now know that this is the kind of game that we’ll be coming back to and playing for years to come and potentially our entire lifetime. So don’t be in a rush and take your time. There is always something to learn and taking a break once in awhile is recommended and will make you appreciate the game even more. And in saying that, it’s called Guildwars for a reason. Find guilds that best suit you and your play styles, make friends for a lifetime and keep it social. With the advent of social media, reddit and forums there is so much positive social interaction.